It’s the moment you’ve been waiting for (and us, too!). Our first official USB-C Cable with Lightning Connector, PowerLine II, has been launched! Check out the event page to get 20% off on the Power Delivery chargers that PowerLine II needs to reach its full potential. You can pre-order yours today for $15.99 by visiting here. Remember that in order to get the best performance out of your PowerLine II cable, you’ll need a USB-C Power Delivery charger. Luckily, we’re giving visitors to our event page 20% off exactly the chargers they need for the job. As always, fans, we’re excited to hear all your questions and comments, so don’t hesitate to open up to us down below. Power On, with Power Delivery! This may sound like a silly question but is it just the newer iPhones that benefit from this as they have the quick charge abilities? I was really waiting for this product for a long time and unfortunately yesterday I just bought an apple. iPhone 6 and newer can charge slightly faster than normal (but not as fast as the iPhone 8 and newer) by using a 10 watt (5V 2A) charger such as an iPad charger with the normal Lightning cable. Great for the young folks! I have no item I can charge with! Awesome, @AnkerOfficial! Really looking forward to PowerLine+ II. That’s a shame. If you bought it from amazon you may be able to get a refund? Remember, patients is a virtue. You said you have an iPhone? My iphone might be elder than you!!! Shame. Maybe when that one dies you can get an anker. 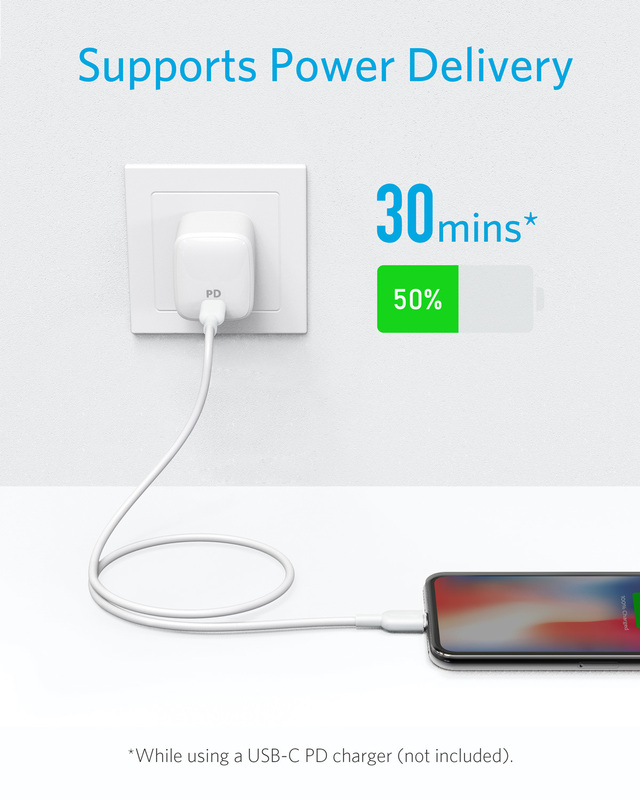 I’ll probably get an anker one. I hope they put it in power drawing. @AnkerOfficial Trying to pre order but getting this message. Anybody else? I suppose it will be "repaired" soon. But don't forget : weekend! But this is limited edition or not? I don’t think this cable is limited edition. That would be strange because of how popular these cords are getting.